Description: The title is not just a slang word but a hip new attitude, importantly a fresh perspective on life. A coming-of-age comedy about a 33-year-old who is trapped between the identity of a boy and a man. YZ tells the story of Gajanan, who ends up in Pune, and how his friendship with an 18-year-old called Battees, opens him up to a new world around him. When the most under confident person in the world meets the most confident one, a series of maddening events is bound to happen. 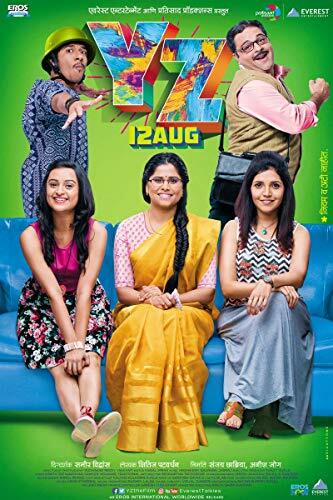 YZ is an incredible journey of friendship, innocence, happiness, love, true spice of life and the beauty within. YZ is all about discovering our own real, mad and bold YZ version. So, break free and be YZ!The title is not just a slang word but a hip new attitude, importantly a fresh perspective on life. A coming-of-age comedy about a 33-year-old who is trapped between the identity of a boy and a man. YZ tells the story of Gajanan, who ends up in Pune, and how his friendship with an 18-year-old called Battees, opens him up to a new world around him. When the most under confident person in the world meets the most confident one, a series of maddening events is bound to happen. YZ is an incredible journey of friendship, innocence, happiness, love, true spice of life and the beauty within. YZ is all about discovering our own real, mad and bold YZ version. So, break free and be YZ!